Macon Tracks Running Club members receive $1 discount during early registration. Shirts guaranteed ONLY to those who register during early registration. Register online now with no service fee. Online registration closes March 30th at 5:00am. Race day registration opens at 7:30am. Who: YOU! And your friends and family! All levels of fitness and ability are welcome. When: Saturday, March 30th. Registration opens at 7:30am. ALL races begin at 8:30am. 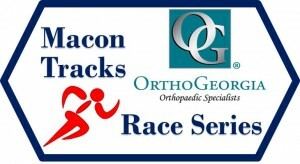 Where: Start and Finish at GEICO One (GEICO Center, Bldg One in Macon). Why: We are celebrating 15+ years of providing care, comfort and hope for families of children receiving medical treatment in Central Georgia. Proceeds help us continue Keeping Families Close. Awards: 5K & 12K awards will be given to the top two finishers in each classification (M & F): overall, age groups, and top Masters (40+, 50+, 60+). 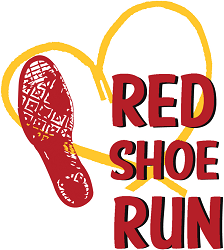 Pre-Race Packet Pickup/Registration: Pre-race packet pick up and in person registration is available Thursday, March 28th, from 12 noon - 6 pm and Friday, March 29th, from 8:30 am - 5:30 pm at The Ronald McDonald House, 1160 Forsyth Street in Macon. Visit our website at www.rmhccga.org or contact Patty Gibbs at 478.746.4090 or dd@rmhccga.org.